‘From day one I had contact with Ashley Kelly, good advice, reassuring any doubts with a professional and kind and pleasant manner. Keep up the good work!! ‘I have been so impressed with the time that Edel Whalley and more recently Lorraine Dean have taken to explain my options. They couldn’t have been any more helpful’. ‘I would like to take this opportunity to thank everyone involved ay Hilary Meredith Solicitors for helping me with my case over this last year. Everything has been dealt with very efficiently and I am particularly grateful to Hannah Ashcroft for all her diligence and communication skills. I would not hesitate to contact you again should I need your assistance’. ‘Thank you – I was very satisfied with the way my claim was dealt with and pleased with the final settlement. I found Kerry Hayes very helpful and pleasant to work with’. ‘My case handler, Ellouise Edwards, has been brilliant, advising accordingly and with regular updates. Thank You’. ‘Steve Ireland helped my family enormously and I found the whole ordeal more manageable because of his compassion, professionalism and empathetic understanding of my circumstance. Thank you from the bottom of my heart, Steve’. ‘Clare Stevens and Gary Boyd impress at Hilary Meredith Solicitors’. Mr Blackledge, Occupational Disease claim. ‘Gary Boyd was very helpful from start to finish in every way – thanks again’. ‘Informative, professional and with great communication’ ‘ at every stage I knew where we were and what I needed to do, backed up with courtesy calls.’ ‘I have never used such a service before and was impressed’ ‘I have recommended to friends, family and work collegues’. 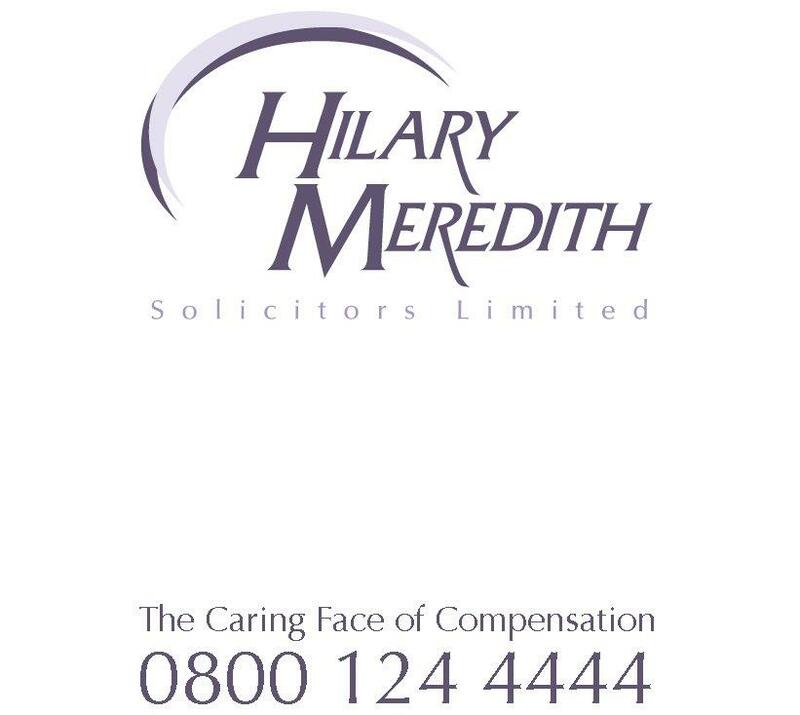 ‘I found the level of service I received from Hilary Meredith Solicitors to be excellent. The person who handle my claim was always friendly and helpful and would always call me back when he said he would if I could not get hold of him right away’.